A new report [PDF] from the National Transportation Safety Board details how the national system for recalling defective and potentially dangerous tires isn’t working, leaving consumers on the road at risk. According to the report, only 1-in-5 defective tires are removed from the road through the safety recall process. Another 24% of recalled tires are actually taken off the road for other reasons – normal wear and tear or damage, the Associated Press reports. 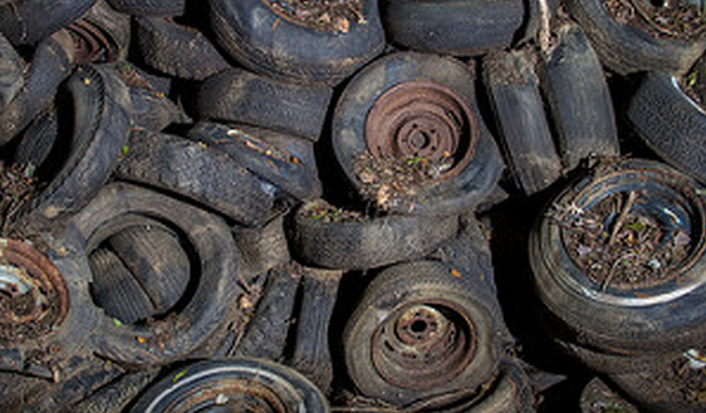 That leaves nearly 56% of defective, recalled tires on the roadways. In all, investigators say about 539 people were killed and 19,000 injured in tire-related accidents last year, although it’s unclear how many of those were a result of recalled tires, the AP reports. At the core of the system’s failing is the inability of manufacturers to contact tire owners about recalls. Currently, there is no requirement for tire dealers to register the products they sell with the manufacturer. And because most dealers don’t take the time to do so, it is difficult for manufacturers to determine who owns the tires and to contact them. While consumers can take it upon themselves to register their tires with the manufacturers, NTSB’s investigation found that often doesn’t happen. “Few people are aware that tires must be registered so that they can be recalled if they are defective,” Chris Hart, the safety board’s chairman, said. NTSB expressed concern with the National Highway Traffic Safety Administration’s tire recall website, noting that it can be confusing for consumers searching for information about their tires. As a result of the year-long study, NTBS passed on 11 safety recommendations to NHTSA and Congress, including one that would require the registration of new tires. Registration would consist of a consumer’s name, phone number, address, email address and the identification number of the car. The board also suggested that manufacturers create a Tire Identification Number lookup system on their websites or include scannable chips inside tires so that issues can be easily identified.